The Selfie Queen finally meets The Queen! 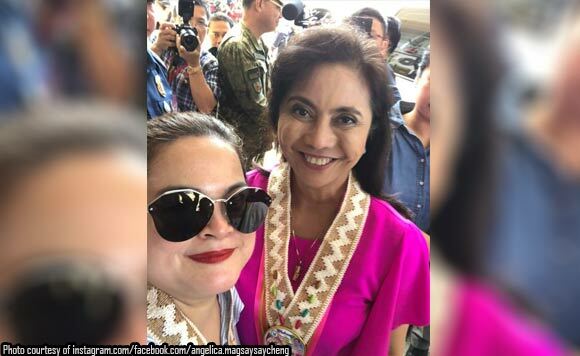 Zambales Vice Governor Angel Magsaysay was among the politikos who welcome Vice President Leni Robredo to San Felipe on Thursday, March 1. Robredo grace the town’s 110th founding anniversary. “Happy foundation day, San Felipe! Love, love you all!” said Magsaysay. How does VG Magsaysay feed her soul on a Monday?